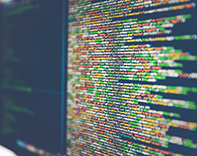 The principal goal of our computational ophthalmology group is to make high-performance computing resources easily accessible and provide state-of-the-art, custom software available to vision researchers engaged in cellular, animal, and human vision research studies. 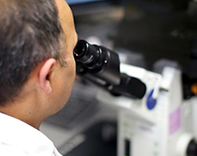 Clinical research studies are performed across all of the subspecialties at the Shiley Eye Institute. 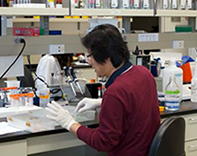 The Shiley Eye Institute runs multiple clinical trials. Each trial follows the strict safety and ethical guidelines developed by the government and UCSD’s Institutional Review Board (IRB). 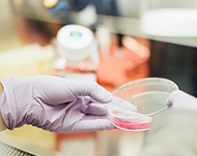 Our researchers receive grant support from multiple agencies including federal, non-profit, industry and private sources. We are indebted to the support we receive for our research endeavors. 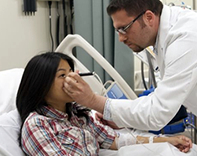 The overall objective of the NEI Mentored Clinical Scientist Development Program Award at UCSD is to develop outstanding clinician scientists to successfully compete at the national level for NIH grants and emerge as leaders within academic Ophthalmology. Through this institutional career development award, we will mentor clinician scientists toward independent academic appointments in ophthalmology.